As we near the end of spring practice, we are finding out much more about what Nebraska will look like under new head coach Mike Riley. But even though we are getting quite a bit of information—more, in all honesty, than some expected we would have at this point in the process—we still are in the dark about a number of important things. Here are three of the biggest questions that remain unanswered. Who will be in the backfield? We’re starting to get a clearer picture of what Nebraska’s offense will look like under Riley. Sam McKewon of the Omaha World-Herald discussed how Nebraska’s offense is progressing from a spread-based concept to more of a pro-style with the quarterback under center and receivers running more defined routes. So at least we know a little of what the offense may look like. But who will be executing that offense is another story. As a smart and particularly handsome analyst pointed out, quarterback Tommy Armstrong’s status as next year’s starting quarterback is far from certain. 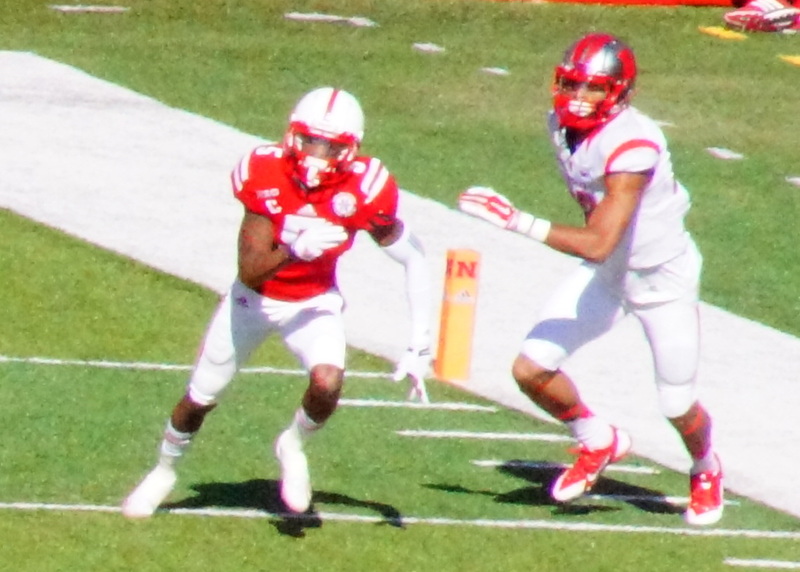 And the battle to succeed Ameer Abdullah at I-back is even more in question. None of the four contenders (Imani Cross, Terrell Newby, Adam Taylor, and Mikale Wilbon) have any significant leg up over the others, meaning competition for playing time at I-back should be fierce all the way up to the first kickoff. Can Nebraska take care of business? Under Riley, Oregon State was known for giant-killing. But it also had a disturbing habit of dropping games to far inferior competition. In 2013, Oregon State dropped its opener to Eastern Washington. And again in 2011 to open the season, the Beavers were upset by Sacramento State. If twice is a trend, three times is a trajectory. We have two data points in recent years to show that teams under Riley are capable of shocking defeats. Can he make sure that a third data point isn’t created in Lincoln? Is Riley ready for the big time? In some ways, this really is the question that underlies all the other questions about Nebraska under a new regime. Yes, Riley over-achieved in Corvallis, a place where it is insanely difficult to succeed at the highest level. But over-achieving with plucky Oregon State is one thing. It’s a different skill set entirely to come from Corvallis to Lincoln, to go from having no advantages to having one of the top programs in the country. To go from very little attention both in-state and nationally to being in the spotlight and living in a fishbowl. The only job Riley has held with similar attention and expectation was his time as the head coach of the San Diego Chargers. From 1999-2001, Riley went 14-34 with the Chargers and was fired after his third year into a five-year contract. That doesn’t mean he can’t be successful at Nebraska, of course. At age 61, Riley has learned a lot, and made tremendous connections within the football coaching community. He has never been at a college program with the kind of resources and support he has in Lincoln. But his history does, at the very least, make whether Riley can excel on the biggest of stages in college football a legitimate question to ask.